New veterans’ job board www.hireourheros.com makes its online debut, providing veterans an easy way to search for jobs and post their resume for free. their relentless efforts to connect veterans with hiring businesses, employers have access to unlimited job postings, free of charge. Through the support of the non-profit HOH works closely with veterans daily, helping to re-write their resumes and build their brand on social media. The goal is that they can become more successful in finding their next career opportunity. “As veterans ourselves, we are proud of the ability to offer a means of support in this way, and are excited to be providing a place where veterans can connect with employers who are specifically looking to hire veterans,” comments HOH Founder, Dan Caporale. Caporale was a Platoon Sergeant and Satellite Communications Specialist, who spent 8 years in the United States Marine Corps. He founded Hire Our Heroes in 2012 following his years in the Marine Corps., along with Tim Kirk and Paul Magness, they are now recognized as leaders in efforts for today’s transitioning veterans. 18-24 is a staggering at 20.5%. On top of that, there are over 10 million veterans, including 1.6 million service-disabled veterans, who are currently out of the labor force,’ as noted on The Departments of Labor by Assistant Secretary for Veterans’ Employment and Training Service, Keith Kelly. As troops begin to come home from Afghanistan and the United States continues to downsize their military forces, the DOL expects the population of veterans to increase by as many as 200,000 each year over the next five years. Knowing this, Hire Our Heroes is determined to provide secure opportunities for employment where the veteran population can cultivate their talents, traits, and attitudes for years to come with the assistance of the job board platform.  Founded in 2012, Hire Our Heroes (HOH) is a not-for-profit created by veterans for veterans. The organizations founders, launched hireourheroes.org as a way to provide a forum for the exchange of news and information to the 1% that have served in the United States military and are now in transition seeking employment. The mission of Hire Our Heroes is to empower veterans and employers with the knowledge, skills, and innovative tools necessary to optimize a strategic workforce. For media inquiries regarding Hire Our Heroes, individuals are encouraged to contact Founder, Dan Caporale directly at (703) 957-8387 or via email at dan@hireourheroes.org. To learn more about the non-profit and their new job board for veterans, please visit: www.hireoutheroes.org.